As part of improving ArcGIS Online security, Esri will require TLS 1.2 connections for ArcGIS Online services starting on April 16, 2019. Esri software that connects to ArcGIS Online will be affected by this change. This technical article provides a list of service URLs for testing TLS 1.2-only connections to ArcGIS Online from ArcGIS Desktop, third-party apps, and custom components. The new Esri Support mobile app is in beta! Find answers and get expert help for your Esri software on your phone. Please join us in beta testing the Esri Support app — you’ll get early access to the app and your feedback will influence the trajectory of the mobile support experience. The instructions provided in this article describe how to download the latest version of an Esri product from My Esri (my.esri.com). 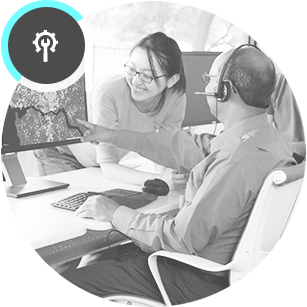 Our industry-leading support services are backed by a dedicated team of support professionals who are ready to address any question or issue related to the ArcGIS platform. The Association of Support Professionals has recognized the Esri Support website as one of the ten best web support sites in 2018 and 2016. Visit asponline.com to learn more about this achievement.